Bina Silwal is the co-founder and Director of Kopila Nepal, an NGO that has worked for the rights of marginalised women and children for the past 10 years in the remote areas of Western Nepal. Bina is a natural leader. She started her career as a community worker on reproductive health and family planning which gave her a deep insight into the effects of discrimination against women and girls. During the Maoist conflict she advocated for women and children’s rights, sensitising in both government and rebel camps – despite severe harassment and risk to her own life. 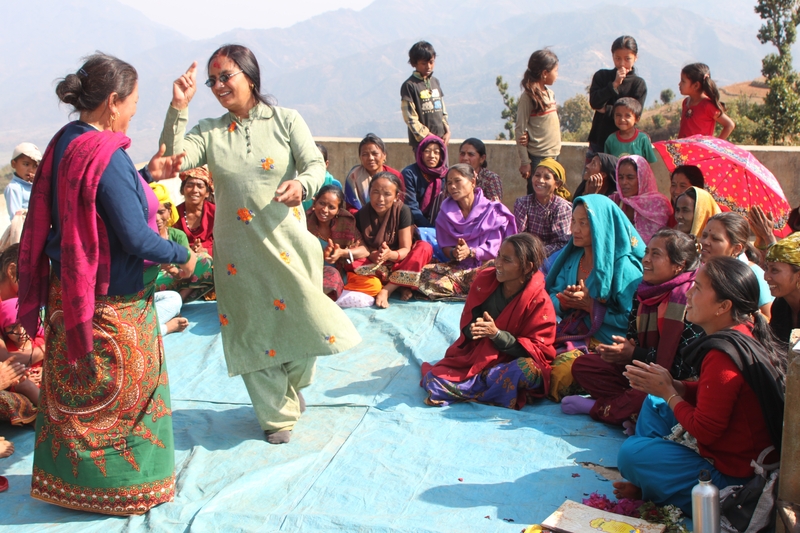 The conflict left many women and traumatised which led Bina to develop Kopila’s expertise in the area of mental health. Today, with Bina’s quiet but determined leadership, Kopila is providing practical as well as emotional support for traumatised women and increasing opportunities for girls. It is also succeeding in changing the traditional attitudes that are at the root of the physical and emotional violence that women often suffer and deny girls their basic rights. Bina’s commitment and transparency is mirrored in the dedicated team of staff she leads, who have won the deep respect and affection of the groups they work with. Her efforts have been recognized by the Nepal Government through her appointment to the local Peace Committee and as a gender trainer and member of the Child Welfare Board in Kaski district.